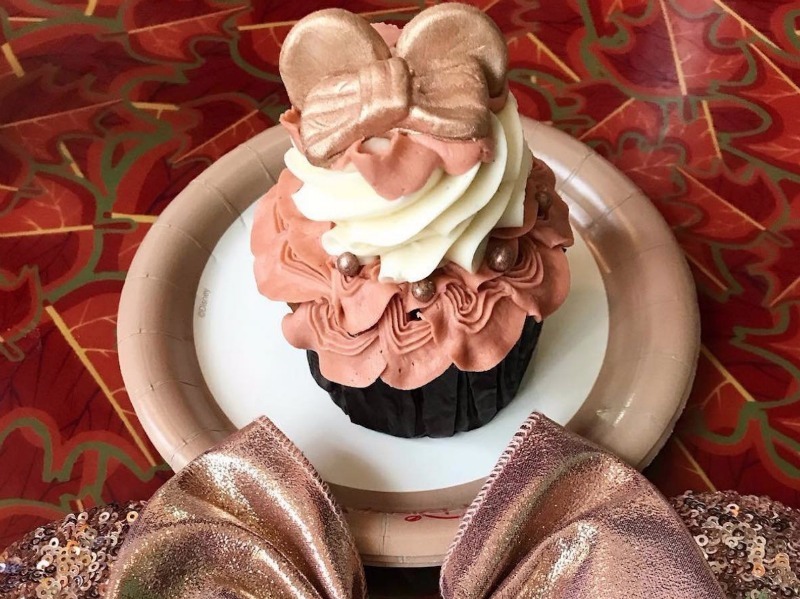 If rose gold Minnie Ears and spirit jerseys were your style, the new rose gold Minnie Mouse cupcakes might be right up your alley too! This gorgeous cupcake is currently available for around six dollars at Sunshine Seasons in The Land pavilion at Epcot. We’re hearing that they’ll be around until the end of the Epcot International Festival of the Arts!